Following the release of his debut solo album Hoick earlier this year, ex-Allo Darlin’ drummer Mikey Collins announces a series of remixes, which will appear over two EPs. Guest remixers include Johnny Winfield, Nicholas de Carlo, James Yuill, Jolyon Thomas, Ghost Culture and Ian Button (Death In Vegas/Papernut Cambridge). This, the second EP, features a brand new track called “Waste”, which Mikey loved but it didn’t quite make it on to the main record. The other tracks included are “Home Bird” and “Side By Side” (both remixed by Johnny Whinfield again) and “Sound In Here” was remixed by Ian Button, who is the drummer in Mikey’s live band but has also been in countless bands including Death In Vegas, Thrashing Doves, GoKart Mozart and many, many more. There’s also a remix of “Something To Lose” by Nicholas de Carlo, which he renamed “A Heart”. Nicholas is a music producer and arranger who worked as a composer in Berlin for many years and recently relocated to Ramsgate, where Mikey lives and they have collaborated on a few projects together. Hoick is the solo album from Allo Darlin’ drummer Mikey Collins, who combines his love of rhythm and joyous harmonies to create a fun and sonically varied record. He is joined by a crack-team of musicians including drummer Ian Button (Death In Vegas, Papernut Cambridge), Tom Parkinson on bass, Tigercats’ Laura Kovic on keyboards and vocals, as well as fellow former Allo Darlin’ member and lifelong friend, guitar maestro Paul Rains. The flicker of his previous band pervades much of the album, as Collins draws inspiration from the upbeat nature of their music but he also gives it his own spin, as well as gleaning influences from other sources including Dexy’s Midnight Runners, The Rolling Stones and current artists such as Matthew E White and Night Works. The first EP revolves around the stand-out track “West Coast”, featuring the original album version plus three remixes. Jolyon Thomas is a music producer who has worked with U2, Royal Blood and Slaves. James Yuill creates folktronica and Mikey said; “I think it's amazing how he managed to make things sound modern and timeless at the same time”. Johnny Whinfield co-produced and mastered Hoick. He has produced and co-written several records with Jimmy Somerville and absolutely loves disco and EDM, which influenced the sound on the album satisfying both his “disco” and Mikey’s “indie” roots. Ahead of 3 shows this weekend with The Ballet, The Smittens release their latest single Infinity Pools, taken from this summer’s LP City Rock Dove. Infinity Pools is a homage to Spanish tontipop, and also inspired by Max’s longstanding love of tropicália. It’s a heady mix of pretentious experimentation and the most basic, simple, silly, absurdly infectious pop. The digital single comes with a brand new remix of Cats for Cats, superbly re-crafted by The Ballet, and a version of Sapphire from Nixon. 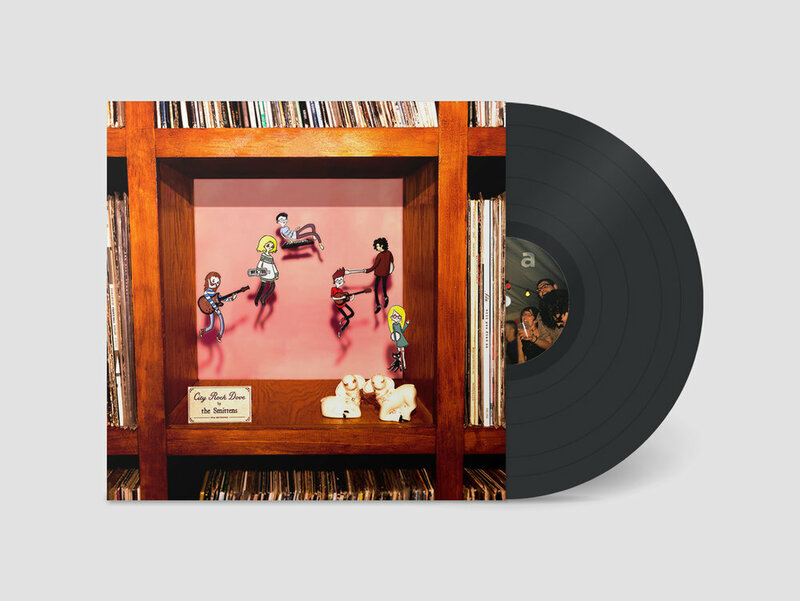 Hoick is the solo album from Allo Darlin’ drummer Mikey Collins, who combines his love of solid grooves and joyous harmonies to create a fun and sonically varied record. Mikey played most of the instruments and mixed the record himself, with some assistance from Laura Kovic (Tigercats) on vocals and fellow Allo Darlin' member Paul Rains on lead guitar. The flicker of his previous band provided the building blocks of an upbeat, positive record, but Mikey wanted to add his own quirky, disco spin & sonic expansiveness, aided by co-producer John Winfield (who has worked with Jimmy Somerville), with the aim of making a record that people stood a chance of being able to dance to. To create this eclectic sound, Mikey draws on influences as far flung as Dexy's Midnight Runners, Bruce Springsteen & Todd Rundgren as well as more current artists such as Night Works, Matthew E White and Father John Misty. Mikey began working on the album while he was still touring with beloved Fortuna POP! signed indiepop outfit Allo Darlin’ and as a result it took a pretty long time to complete. The last few years were a conveyor belt of change as he; got married, had a child, bought a house, moved from London to be by the Kent coast (Ramsgate) and opened a residential studio Big Jelly Studios (where they’ve recorded albums by Girl Ray, Metronomy, Pete Doherty and the Puta Madres, Mt Wolf, Seamus Fogarty and many others including Elizabeth Morris from Allo Darlin’s new band, ELVA). In short, he grew up. The record journeys through these changes but has its roots firmly grounded in his new seaside habitat. His identity with and connection to the area is even incorporated into the album artwork – a startling photograph by local photographer Jason Evans (who has worked with Radiohead and Keiran Hebden/Fourtet), incorporating flora and fauna of the region, an outer ring of pop glow that hints at the neon din of the seaside. The idea for the image emerged after a discussion about the relationship between organic and synthesised sounds on the record and its need to represent the area. Moving to the coast had a more profound effect on Mikey than he imagined, as he explains; “Mostly it’s about a seismic shift in life. I probably delayed growing up in a lot of ways, touring can kind of help that - it’s a fantasy world in some ways! I hadn't really stopped to appreciate what I had until I got a little bit of time and space to think. Being by the sea is good for that. I realised how many positives there are in my life and I wanted to channel some of that into a record." Unsurprisingly there are a lot of references to the sea, falling in love and friendship on the album. This is evident in songs such as as “Falling”, which is about proposing to his wife – something he swore blind he'd never do! - to “Pinata”, a song about handing over your heart, wrapping it in a piñata and giving someone the bat (in a humorous way). "Side by Side" is a reflection on having spent a lot of time with a group of people and that, hopefully, the Allo Darlin' friendship would always endure. "West Coast" is another uptempo disco-vibe, reflecting on time spent with long term tour buddies The Wave Pictures in California. In "Home Bird", Mikey tried to pay homage to to the grooves of older RnB tunes with a simple arrangement, Rolling Stones-esque riffs and thoughts about the dichotomy of missing home, but loving being on the road. The finger-picked, delicately arranged acoustic song, "Moving On", was recorded in one take in the upstairs flat of a cafe/bar (called Caboose) that Mike opened with his wife when they first moved to Ramsgate. An airplane flew overhead at a seemingly poignant moment, so Mike decided to keep that take, as explains; "it seemed like a perfect moment captured!”. The album title “Hoick” is a word that he used without thinking when lifting and throwing his daughter in the air. He only noticed it when she started saying it back to him - “I like the way it sounded... it's a strange word, but when I thought about what it meant it seemed to encapsulate what I wanted the record to do; to lift up”. Although the making of the record was a solo endeavour, live he is joined by a crack-team of musicians. Whilst he plays guitar and sings, in addition to the afore mentioned Laura Kovic, and lifelong friend, guitar maestro Paul Rains, he is joined by drummer Ian Button (Death In Vegas, Papernut Cambridge) and Tom Parkinson on bass. Of the album Mikey states: “This has been the first musical project that I feel proud of the moment I finished it. Normally it takes a bit of time and perspective. It feels as happy, conflicted and dense as the inside of my brain feels most of the time, which is the danger / joy of the solo record...” Collins deftly blends a solid rhythm section with disco beats and old school R&B grooves, layering the bass lines, guitars, synths and harmonies to build up each track sonically. The result is a shimmering and glittering record that bursts with joy and wonder. Title: Has Anybody Seen My Boy? 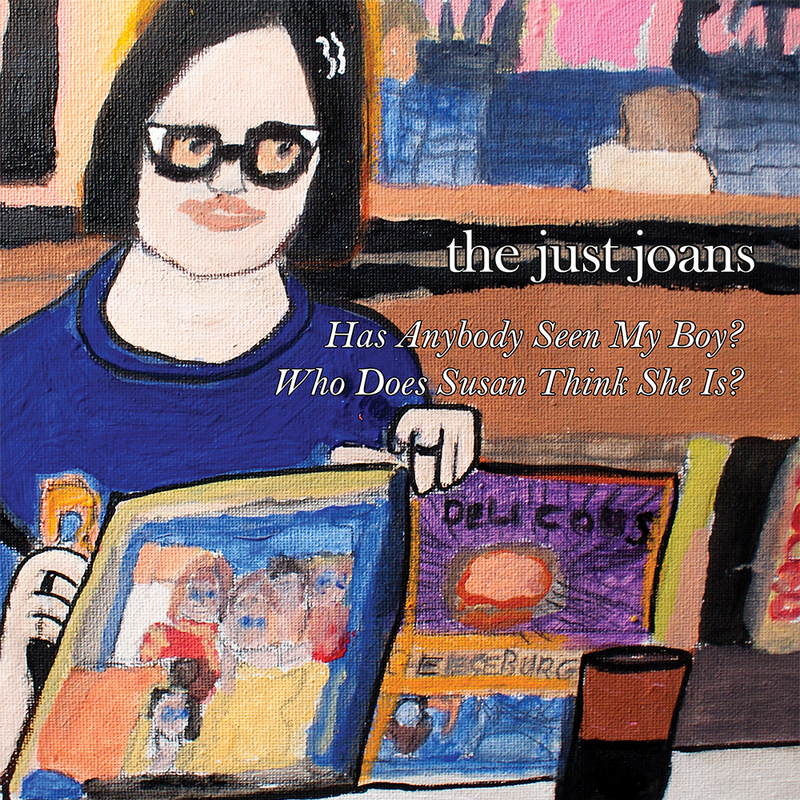 Cult Scottish miserabilists The Just Joans have a new double A-side single, following up on the success of 2017’s album You Might Be Smiling Now…, their first in over a decade. Formed in Glasgow in 2005, The Just Joans have evolved from a shambling two-piece to an accomplished sextet that embraces rivalry and relationship in the vocals of siblings, David and Katie Pope. Once described as ‘the missing link between The Magnetic Fields and The Proclaimers’, the band have used self-awareness and self-deprecation to continuously explore themes of angst, heartbreak and detachment in their songs. From their 2006 debut album Last Tango in Motherwell through a series of successful EPs, to 2012’s compilation Buckfast Bottles In The Rain, the acerbic wit in David Pope’s observational lyrics have helped make the band a firm favourite of the indie-pop scene. Their rise has seen them play a plethora of international festivals, such as Wales Goes Pop, Indiefjords, NYC Popfest, and of course the Indietracks festival, of which they have been long-standing cult favourites since their first appearance in 2008. The artwork was created specially for the single by Doreen Kay who attends the weekly art cIass Katie Pope runs for adults who have learning disabilities. Doreen's work often depicts popular cultural, including tv programmes and celebrities she likes. She also paints places she's enjoyed visiting and people she knows. We’re all very excited that she agreed to design the sleeve for this release. The Just Joans are David Pope (vocals and guitar), Katie Pope (vocals), Chris Elkin (lead guitar), Fraser Ford (bass guitar), Doog Cameron (keyboards) and Jason Sweeney (drums). The Smittens are a 6-piece indiepop band that make upbeat and introspective tunes, tinged with vulnerability and optimism. While sonically the elements of multi-layered harmonies, countermelodies and ba-ba-ba singalong hooks still play a large part in The Smittens’ approach to songwriting, as each of the 4 main songwriters has grown, the overall perspective of the songs seems a bit moodier, and more serious. They’ve long since left behind the label of being a ‘cute’ or ‘twee’ band since their debut album 15 years ago. City Rock Dove is instead an album of transition, ennui and nihilism; honing in on personal politics and gender queerness. The album contends with the turbulent changes of modern America serving only to cement the status quo - and it’s not just the outside world that’s changing either: The Smittens are also singing about the changes in themselves and taking a hard look inside. Gary Olson (Ladybug Transistor) returned to mix the new album, having been instrumental in helping develop the richer textures first seen on 2016’s Love Record Breaker EP. The album opens with the coming-out anthem Three States, Dana’s very personal tale of change. His vocals for the song were recorded over 2 years during the course of his gender transition. It’s a window into vulnerability, fear, determination and growth: there’s beauty in complexity. Gender and sexuality are behind Cats for Cats, taking a gay dating app cliche (“masc. for masc.”) as the opening refrain, and contemplating being 40, in a long term relationship and how freedom of experimentation always comes with its own costs. The band is friends first and open-hearted indiepop revolutionaries after that. Max Andrucki, Missy Bly, Colin Clary, Dana Kaplan, Holly Chagnon, and David Zacharis switch up instruments, song-writing, and singing to create catchy, harmony-driven pop anthems and queer love songs—always brilliantly lyrical, and often brazenly political. They’re based in Burlington, Vermont and in New York City. City Rock Dove is their 6th studio album, and third release with Fika Recordings. "Anchor In The Sea" is the new single to be taken from Mikey Collins' forthcoming album Hoick, due out on Fika Recordings on 17 August. The track was premiered by For The Rabbits, who described it as; "the sound of a pulsing bassy shuffle and bright synth tones, Mikey narrates a tale of how the effect of a single, seemingly insignificant moment can affect your life so greatly and pull you back to it, 'like an anchor in the sea'". They go on to try to pinpoint Mikey's sound; "Perhaps the nearest touchstone to the Mikey Collins sound comes in the music of Spacebomb head honcho, Matthew E. White, although unlike White and his gargantuan houseband, Mikey is doing almost everything himself, playing almost every instrument on the record." To celebrate the release of the album, Collins headlines a show at London's Paper Dress Vintage on 14 August (with support from Simon Love and Babii). This follows a triumphant set at the Indietracks Festival in July, where he headlined the Church stage on the Sunday night, which ended in a standing ovation and hardly a dry eye in the venue. Although the making of the record was a solo endeavour, live he is joined by a crack-team of musicians. Whilst he plays guitar and sings, in addition to the aforementioned Laura Kovic, and lifelong friend, guitar maestro Paul Rains, he is joined by drummer Ian Button (Death In Vegas, Papernut Cambridge) and Tom Parkinson on bass. 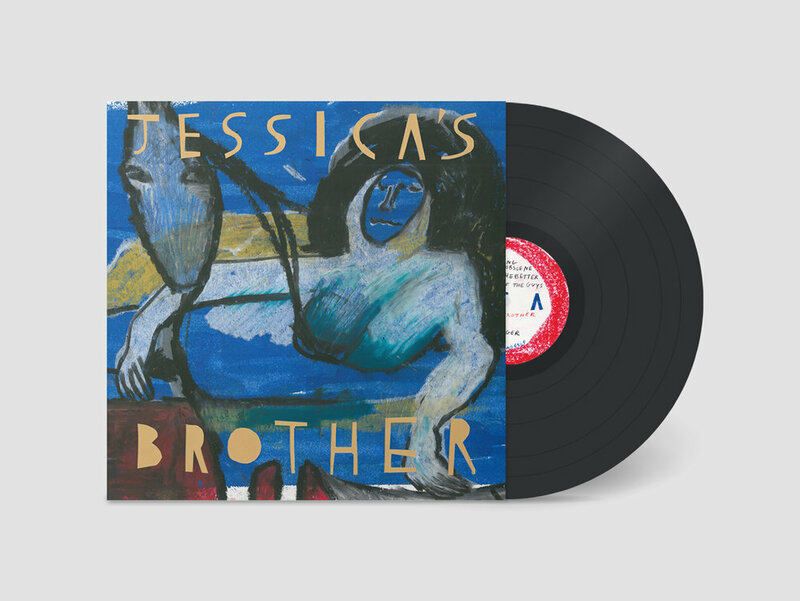 Jessica’s Brother is the eponymous debut album from London trio Jessica’s Brother, comprised of songwriter Tom Charleston, Jonny Helm (drums, also of The Wave Pictures) and Charlie Higgs (bass, previously of Ramshackle Union Band). Channelling the spirit of the Brothers Grimm to create an otherworldly atmosphere, they weave their motley influences together making a rich and eclectic vision, with nods to Silver Jews, Jason Molina, Nick Cave, Richard Thompson and Neil Young. There are themes of joy, anger and silliness in a carefully crafted world with a colourful cast of characters. The trio formed in October 2016. Jonny and Charlie worked together in a framing business and had often talked about collaborating in a band together. Fate intervened when Jonny’s girlfriend Jessica introduced him to her brother Tom, and they found a songwriter in waiting. The trio clicked immediately and just nine months later they recorded the album with Laurie Sherman at The Booze Cube in Stoke Newington, with input from Darren Hayman. A few other friends joined them in the studio, including Dan Mayfield (Enderby’s Room), who added a dose of Bad Seeds/Dirty Three vibes on the violin and Paul Rains (Allo Darlin’/Tigercats) lent a hint of country twang on guitar and slide guitar. With Jessica’s Brother, we see Tom Charleston’s songwriting blossoming in to a tour de force. Influenced more by poets than other musicians, he cites John Ashbery, T.S. Eliot and Philip Larkin as inspirations. He is drawn to how they can be irreverent, unassuming and playful, as he explains; “I suppose I wanted to offer something lyrically engaging and hopefully different.” His modestly lofty ambitions have paid off, with ten startling individual vignettes telling their own stories from a variety of narrator’s points of view. Album opener is the Silver Jews-esque “Getting Obscene”, which sprang from a sense of going nowhere fast, acknowledged in a repetitious revolving chord which becomes an immersive rock’n’roll meditation. The tone completely changes with the next track “All The Better”, which is a hushed, eerie folk song exploring the melancholy and optimism of breaching adolescence and the limbo before adulthood; a simple tale of growing up. “Humdinger” is perhaps the one song on the album where the narrator is at ease with himself and the world. Though there are moments where this tranquility is nudged by outside tremors, so we know this moment is ephemeral. Weaving a variety of influences from jangly indie-rock to gothic country and contemplative psych folk, Jessica’s Brother create the sound of a band coming together and getting caught up in the rush of starting new and enjoyable. The instruments clamber over each other in a small room, with Helm’s distinctive drumming counterbalances the gothic guitar thrums and wailing violin. Already lauded by the likes of The Guardian (for their first ever gig) and the Saatchi Magazine (for their first single), the scene is set for a bright future. 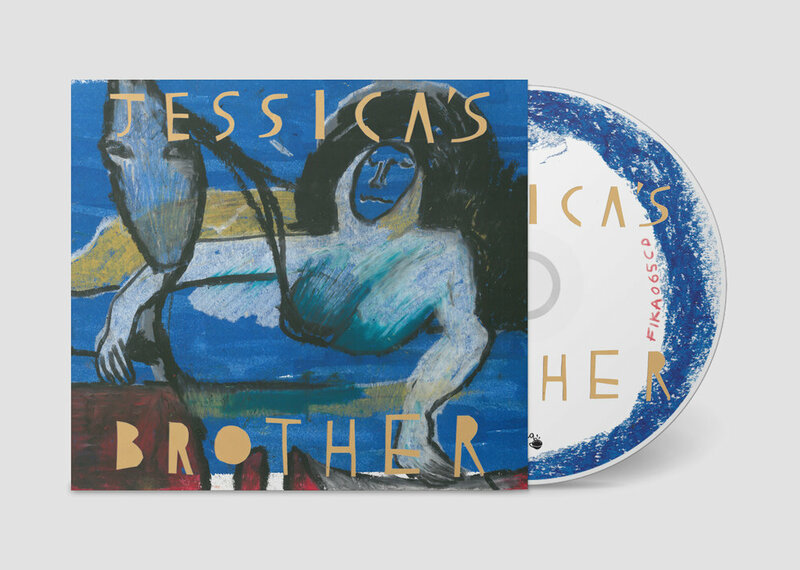 A week ahead of the release of their debut album, Jessica's Brother release Getting Obscene, the Silver Jews-esque opening track, which sprang from a sense of going nowhere fast, acknowledged in a repetitious revolving chord which becomes an immersive rock’n’roll meditation. Three States, the new single from The Smittens is out today! Pre-order the 12″ LP City Rock Dove now or listen to the new single on Spotify.